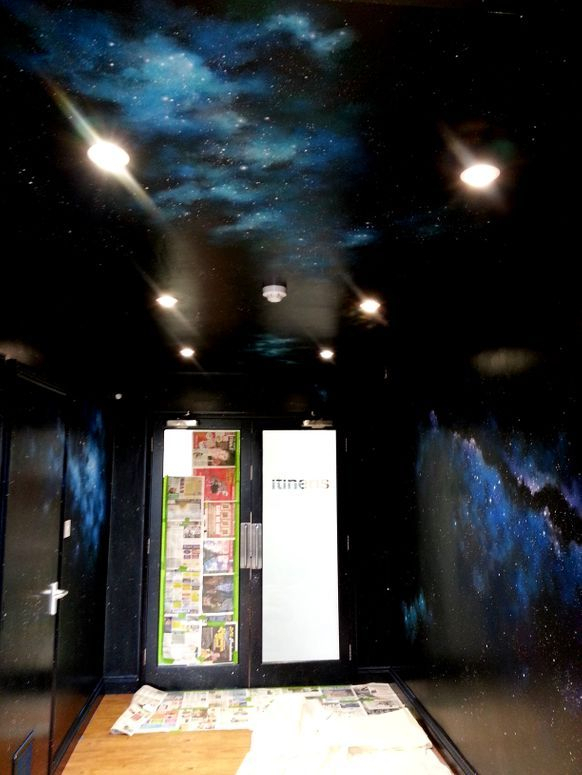 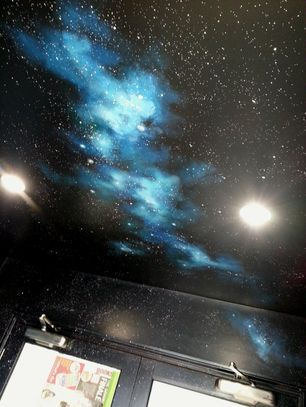 This Space themed entrance hall was painted at the Itineris Offices in Ipswich. 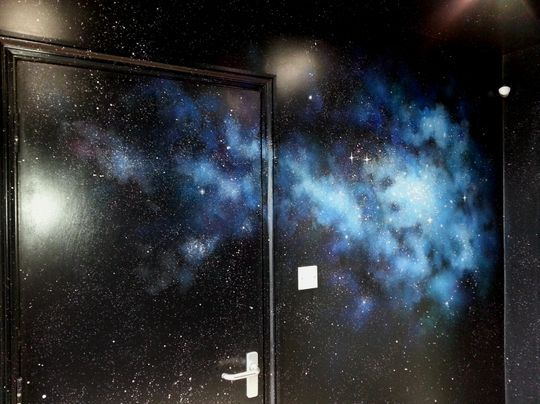 Their new branding is centered around Space, so they wanted something that made an impact and was on brand for when clients came through their doors. 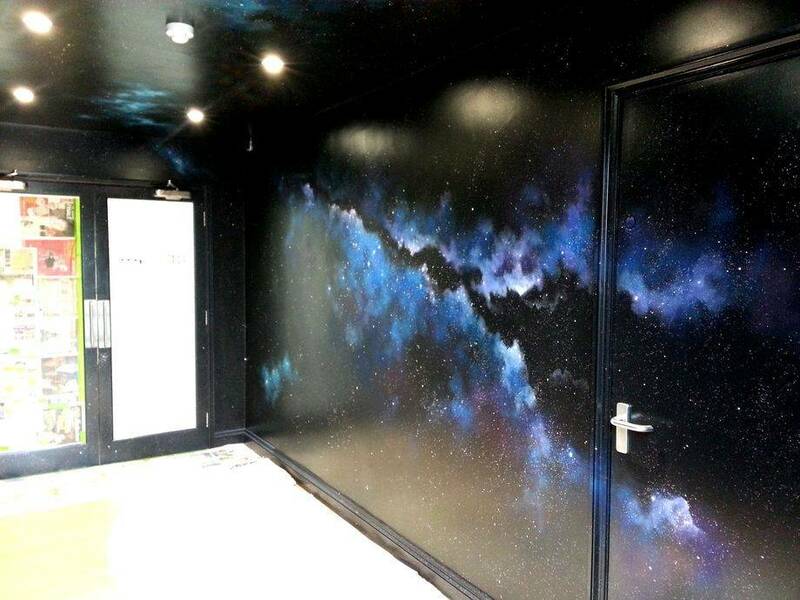 The room was painted black and the space design was painted over this in one week by one artist.